I’ve been tagged! Writers across the blogosphere have been tossing a particular Q&A around the writing community. It’s the Writing Process Blog Tour. Lila Quintero Weaver published her responses last week and tossed it over to me. First, here’s some info on my tagger. I haven’t met Lila in person yet, but I consider her una amiga nonetheless. We have been collaborating on the Latin@s in Kid Lit site since July 2013. Lila has been an enthusiastic blogger for the site, posting great book talks, Q&As, and personal stories. 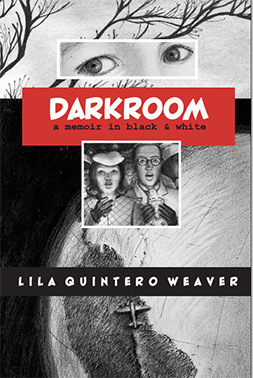 An author and illustrator, her debut novel was Darkroom: Memoirs in Black and White. She is currently working on a middle grade novel. I am revising Aesop’s Curse, my second young adult novel. During the school year, I teach middle school reading full time and college composition part time, so my goal is to finish revising Aesop’s Curse this summer so that my agent can review it and submit it to editors. The story is about a high school freshman named Alexandre Hart who learns he is the reincarnation of Aesop, the fable writer. Aesop cursed a village before he was executed, and now Alex has to somehow fix this or things will get ugly. (I don’t want to give too much away). I am also steadily working on plans to promote my debut novel, When Reason Breaks, which will be published by Bloomsbury Children’s Books on February 10, 2015. Both of my novels have a literary element. 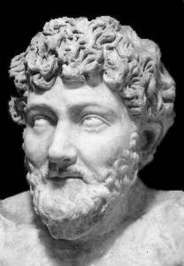 Aesop’s Curse includes information about the author and some of his most famous fables. 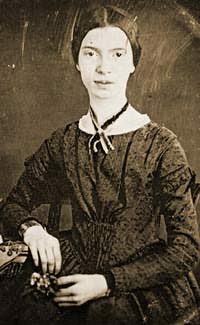 When Reason Breaks includes Emily Dickinson’s poetry, and the characters represent the poet and other people who existed in her life. For example, the two main characters, Emily Delgado and Elizabeth Davis, represent Dickinson, and the character Tommy Bowles represents two important men in Dickinson’s life: Thomas Wentworth Higginson and Samuel Bowles. While there are lots of YA books linked to famous authors and/or literary works, there are fewer about Dickinson and Aesop. Each of my novels also has a diverse cast of characters, which is important to me personally as a Latina, mom, and teacher. I think it’s important to represent our diverse reality in children’s books, and to not consider these “minority” books, but rather books with minorities in them. I write what interests me. I fell in love with Dickinson’s work during graduate school, I have first-hand experience with depression, and I have been a teacher for 13 years, which means I have known and learned from lots of interesting, complex, remarkable teens. When Reason Breaks combines these elements. When planning Aesop’s Curse, I again pulled from topics of interest. I found the story of Aesop’s execution fascinating, I have read a lot about the metaphysical and reincarnation, and I have known plenty of young men like Alex who fly under the radar and dread taking risks for fear of failure. My process is not methodical. I don’t use charts and graphs or color-coded note cards, and I don’t write every day, which is the #1 piece of advice given to writers. I scribble in notebooks and on post-it notes, and I think about my work in progress constantly, plotting scenes in my head. This way, when I have time to sit and write, I’m ready. I do most of my writing during child-free weekends (when my parents babysit), snow days, sick days, school vacations, and when my daughter is doing an extra curricular activity. Marathon writing sessions with days of no writing in between doesn’t work for everyone, but it works for me. I will now toss these questions to Susan Adrian, the leader of the Fearless Fifteeners, a group of middle grade and young adult authors debuting in 2015. 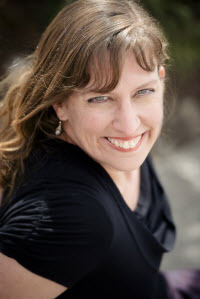 Susan’s debut YA novel is titled Tunnel Vision and will be published by Thomas Dunne Books/St. Martin’s Press. Here’s a brief description: A teenage boy who has a power he calls tunneling—he can decipher where anyone in the world is (and what they’re doing) by holding something they own—is brought to the attention of the U.S. government. Sounds cool, right? Susan will tell us all about her writing process next week. I’ll need to pick up Lila’s book for CJ as an XMas present! Thanks for sharing!